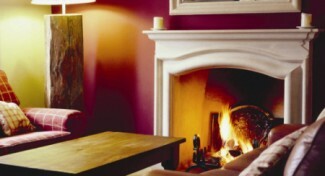 Hurry – There’s still time to book a Winter Warmer offer! 23 Jan Hurry – There’s still time to book a Winter Warmer offer! If you are in need of peace, quiet and escape – a short yet recharging break in the stunning surroundings of the English countryside, then there’s still time to book a Foot Trails Winter Warmer! Available until the end of February, our Winter Warmers take you away from it all and provide the perfect excuse to relax and enjoy the very best of rural England at an inspirational time of the year. Book for two or three nights and you’ll get to explore on fabulous walking days that will be tailored to suit you, and specially planned so you get to experience the wonder of the countryside in winter. On the way, stop off for lunch at one of our recommended country pubs or cafes, and then return to the handpicked country inn where you’ll be staying, which will offer the best in traditional rural hospitality, wonderful country breakfasts, award winning dinners and a roaring log fire to warm in front of while you sample a local ale (or two!). Perfect. For more details please visit www.foottrails.co.uk and please telephone us on 01747 820 626 to check availability as soon as possible. Available weekends and mid-week.